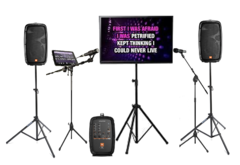 Please view each Karaoke Machine we offer to determine which one would work best based on the size of the party you're expecting. 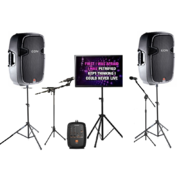 We have a size recommendation for each Karaoke System we offer. 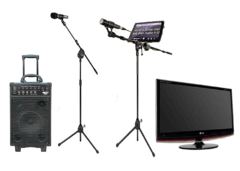 All of our karaoke machines get tested before they get sent out to ensure 100% working order. We will show you how to use the machines, they are very easy to use! 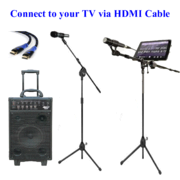 Connections to a tv are done via HDMI cable only.